Experts said the findings underscore the value of sustained weight loss for obese a-fib patients. "The fact that as little as a 10 percent weight loss resulted in such dramatic change is impressive," said Dr. Dhanunjaya Lakkireddy, a cardiologist who specializes in treating heart arrhythmias. "The benefits can be amazing," he said. Lakkireddy, who was not involved in the study, is chairman-elect of the American College of Cardiology's electrophysiology section. 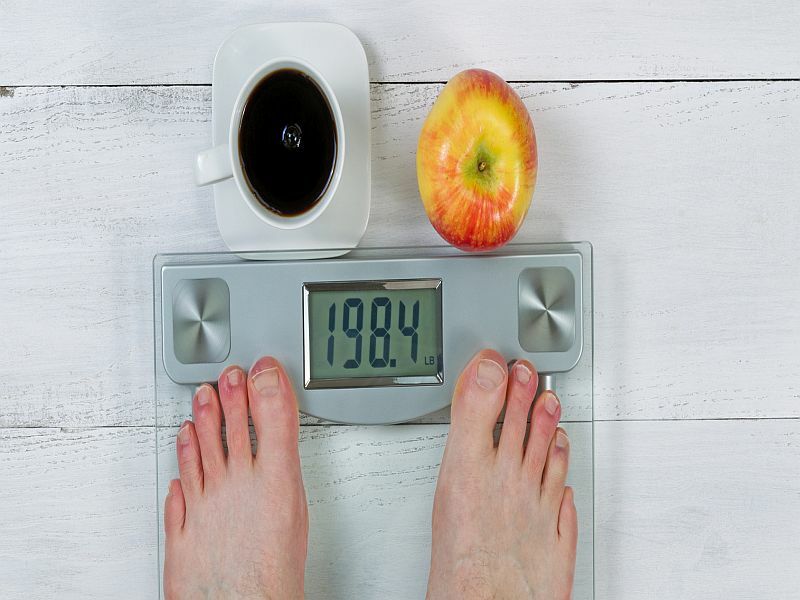 Weight loss is critical, he explained, because obesity feeds many of the factors that contribute to atrial fibrillation -- including high blood pressure, diabetes and the nighttime breathing disorder sleep apnea. "So if you target the root cause," Lakkireddy said, "you can address these issues in one shot." Past research had shown weight loss can ease a-fib symptoms and keep episodes from recurring. But the new study is the first to show it can also reverse the course of the disease, according to the Australian researchers, led by Melissa Middeldorp of the University of Adelaide. Atrial fibrillation affects anywhere from 3 million to 6 million Americans, according to the U.S. Centers for Disease Control and Prevention. It arises when the heart's upper chambers beat erratically instead of maintaining a steady, normal rhythm. Though the problem is not immediately life-threatening, if it persists over time, it can raise the risk of stroke or heart failure. The new findings, published recently in the journal Europace, are based on 355 obese a-fib patients who were offered a structured weight-loss program. It included individualized diet and lifestyle advice. But in general, patients cut down on calories and processed, high-carbohydrate foods. They also started exercising: First, they took on low-intensity activity three or four times a week, then built toward sessions of moderate exercise, such as brisk walking. The goal was 200 minutes per week, or about 30 minutes each day. They also received help with managing all their a-fib risk factors such as monitoring their blood pressure, getting their blood sugar levels down, and treating sleep apnea. Overall, 135 people lost that much weight. And 88 percent of them had been either free of a-fib in the past year, or had gone from persistent a-fib episodes to "paroxysmal" a-fib. Persistent a-fib episodes last for at least a week, or even months. They may require treatment -- with either drugs or an electrical "shock" to the heart -- to end them. In contrast, paroxysmal episodes last less than a week and go away on their own. The picture was different for patients who lost little weight. Of the 116 who lost less than 3 percent of their weight, 41 percent progressed from paroxysmal a-fib to persistent. Only one patient improved from persistent to paroxysmal a-fib. "Progression of the disease is shown to have a direct link with the degree of weight loss," Middeldorp said in a statement. "Without weight loss, there is a progression of AF [a-fib] to more persistent forms of AF." Doctors already encourage obese a-fib patients to lose weight, according to Lakkireddy. But, he noted, it is notoriously difficult to keep excess pounds off. The patients in this study went through a fairly intensive formal weight-loss program -- and that may be what it takes. Lakkireddy said a-fib patients who need to lose weight can start by asking their doctor for resources to help them. "Don't be lured by these fad diets," he cautioned. Certain diets could be dangerous for people with a-fib. Imbalances in nutrients like potassium and magnesium can spur heart rhythm disturbances. Instead, Lakkireddy said, go for healthy, sustainable changes. "In general," he said, "people will benefit from reducing portion sizes, cutting out sugar and eating more vegetables and lean protein."